With another record year for load cell solutions provider, LCM Systems, a new initiative has been introduced that means lower prices and faster delivery for all customers. We are pleased to announce that our best selling DCE load cell for measurement of tensile and compressive forces is now available ex-stock from our headquarters on the Isle of Wight. This small and versatile product is ideal for design engineers and systems integrators who are working on applications for tensile strength, tension measurement and general force applications. The standard product is offered in ranges from 100N to 50kN, although specials can be designed and manufactured not only with customised ranges, but different thread sizes, integral connectors and high temperature versions are all popular requests from design engineers. 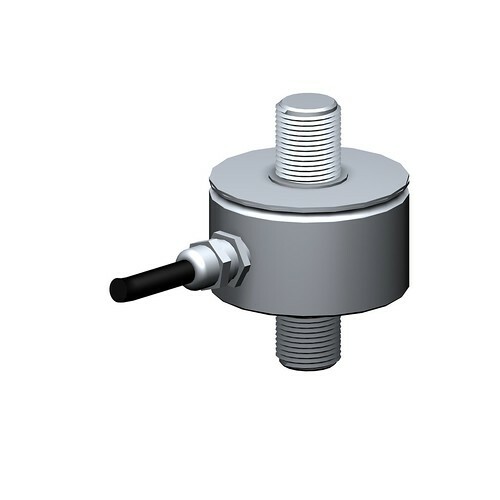 This compact load cell is constructed in stainless steel and environmentally sealed to IP65. To add to its versatility, different mounting options are available, designed to make the load cell suitable where space is limited and a version with rationalised output can also be supplied. Over the past six months, we have extended our factory by 30%, allowing parts to be held in stock for even faster assembly and delivery. As well as the DCE load cell, in future, customers will be able to order shackle load cells, the SGA analogue stain gauge amplifier and the TR150 handheld load indicator for immediate dispatch.